Today is the 30th anniversary of one of the most famous endings in all of television. 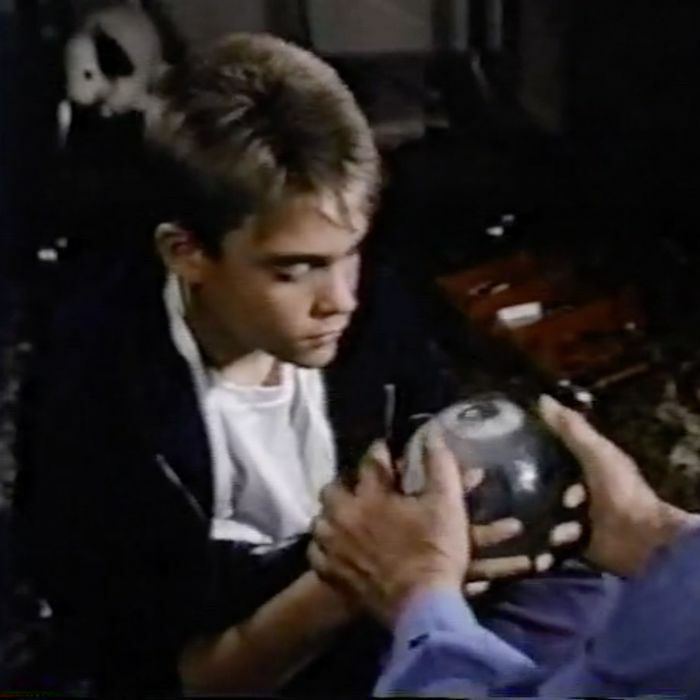 St. Elsewhere’s Dr. Westphall (Ed Flanders) watches his autistic son Tommy (Chad Allen) stare at a snow globe that he gazes at all day long. “What’s he thinking about?” he asks. Then the boy puts the snow globe down to prepare for bed, and the camera slowly zooms into the snow globe to reveal a miniature version of St. Eligius Hospital, the show’s principal location. To make things weirder, the characters weren’t the characters anymor. Westphall was now a construction worker rather than a doctor, and St. Eligius’ Dr. Daniel Auschlander (Norman Lloyd) — who had died earlier in the episode — was alive and well, and was suddenly Tommy’s grandfather. David Bushman, a TV curator at the Paley Center in New York City, recently described the final shot of the snow globe as “a reaffirmation that St. Elsewhere was ‘merely’ a work of fiction. In other words, try not to be too crushed that it’s ending, because it never really existed to begin with.” I like to think of the snow globe as a meta-commentary on the universe of TV generally, one that resonates more strongly now than it did three decades ago, when there were only three major broadcast networks, PBS, cable, and a bunch of syndicated stations, yet people who wrote about the medium for a living still worried that there was no way they could watch and keep tabs on everything. The snow globe of TV has expanded exponentially since then, to the point where viewera would have to clone themselves 20 times to watch every sitcom or drama worth having an opinion on — a scenario that wouldn’t leave much room for watching other types of programming, or for eating and sleeping. The snow globe inspired the so-called Tommy Westphall theory of TV interconnectedness, one of the most playful and expansive fan theories of all time. St. Elsewhere was an “institutional series” par excellence, showing the day-to-day workings of a major urban hub through which a cross section of humankind constantly flowed in and out. The Westphall theory posits that the show serves the same function for television itself, acting as a portal through which the medium’s past and present can flow. The origin point for this theory isn’t the snow globe itself, but a scene on another Boston-set NBC program from the 1980s, Cheers, in which doctors from St. Eligius stopped in to have a drink. The show also wove in commentary on the process of writing, producing and airing a television show, and sometimes characters would round a corner and come face-to-face with a metaphor for the creative process, as in the finale episode, when Dr. Wayne Fiscus (Howie Mandel) and doctor’s assistant Luther Hawkins (Eric Laneuville) go to see a recently admitted patient, a female opera singer dressed in full-on Wagnerian armor: It ain’t over till the fat lady sings. This is one more sense in which St. Elsewhere, and St. Eligius, can be thought of as a portal connecting all of television. From its inception, the medium was profoundly self-aware and constantly made references to the fact that it was churning out fiction of one kind or another. It’s a bit startling to watch shows from the first full decade of the medium’s existence as a commercial enterprise, the 1950s, and find programs aimed at the widest possible audience indulging in what academics would later describe as metafiction, postmodernism, phenomenology, and apparatus theory. It was all just meat and potatoes as far as the writers were concerned. On The Jack Benny Program, Jack Benny played a character named Jack Benny who would address the studio audience directly, then participate in scripted sitcom shenanigans, pausing occasionally to cast a knowing or mischievous glance at the viewe. This was three full decades before It’s Garry Shandling’s Show won critical plaudits for doing more or less the same thing (Shandling grew up in the ’50s, so this was a loving appropriation). Sketch-comedy pioneer Ernie Kovacs staged bits that took camera movements, editing, and the boundaries of the frame into account. He sometimes revealed sets as sets and props as props and suddenly changed the entire idea at the last minute, with commentary to let you know that the show was doing it on purpose. In the ’80s, series like St. Elsewhere, Max Headroom, and Moonlighting carried the tradition forward. Moonlighting even built the audience’s awareness of the producers’ notorious tendency to blow deadlines right into the advertising campaign, with a promo spot that showed network executives waiting around impatiently for the newest episode to be delivered. The image of Tommy staring into that snow globe also evokes our relationship to television, television’s relationship to us, and one show’s relationship to all other shows. And on top of all that, there’s a philosophical or religious dimension. The fictional people in that little rectangle never know that we’re watching them, and they assume the universe they live in is the only universe that exists. If religion comes into play — and why wouldn’t it, considering that the hospital is named for a Catholic saint, and miracles happen there all the time — who is God in this scenario? Is it Tommy? If so, this is a powerless deity who can observe but not interfere. Or maybe God is outside of both Tommy and the globe. You could stay up all night obsessing over this, which is one reason why the ending of St. Elsewhere has come to stand for the series itself, and for ideas as ancient as storytelling.